Naim audio have a long and distinguished history of producing world-beating amplification. Since Naim's first power amplifier, the NAP160, was released in 1971, they have continued to push the boundaries of sonic perfection. Naim amplifiers sound great - from the Nait 5Si to the stunning 500 Series Naim amplifiers will thrill and excite, we cannot think of another brand whose sonic signature has remained so consistent over the years. The NAC 252 stems from good stock - it descends directly from the NAC 52, arguably still one of the finest preamplifiers ever made. Capable of exceptional clarity, its power supply components reside in a separate enclosure - the required Naim SuperCap power supply unit ensures optimum isolation from electromagnetic interference and provides each of the ten audio circuits with an independent, fully regulated supply voltage. Additionally, separate power supplies for the digital control and switching circuitry further isolate the audio circuitry from noise. Partner Naim's 252 with a NAP 250 or NAP 300 power amplifier for great results. As with all quality audio - connection cables are as important as the components they connect, we offer a full bespoke service for cables from Naim and Chord. The NAP 300DR power amplifier incorporates all the advances pioneered by other amplifier in the Naim range - both past and present and adopts the radical two-box configuration of its bigger brother, the NAP 500DR, one box houses the amplification circuitry whilst the other – the 300 PS – hosts the power supply components. It also features the new high-calibre Naim Audio NA009 transistors developed for the 500 Series. The NAP 300DR delivers 90W per channel into 8 ohms and is capable of prolonged output into 2 ohms with no discernible impact on performance. The result is both superior purity of tone and immense power, a great match for any of the Kudos or Graham Audio range of loudspeakers, connect them to your Naim with the ultimate speaker cable from Naim - Super Lumina! Step up from the NAC 202 or down one from the NAC 252 and you arrive at the outstanding NAC 282, which includes the NAPSC power supply unit optionally available on its sibling. The supplied NAPSC independently powers the NAC 282’s digital and control circuits, leaving its audio circuits to either the power supply of a NAC 155 XS or NAP 200 power amplifier, or to one of Naim's standalone FlatCap XS, HiCap or SuperCap power supplies. The result is even greater transparency and superior musicality plus, of course, all the flexibility you’d expect from one of Naim's preamplifiers. The NAP 250DR is a bit of a favourite here, first introduced in 1975, its regular updates – both aesthetic and technical – have kept it at the very forefront of power amplifier performance for more than three decades, creating great sound in a wide range of system combinations. The latest NAP 250DR is housed in Naim's low-resonance, anodised aluminium enclosure seen across the Classic Series delivering 80W per channel (into 8 ohms) with all the speed, power and agility needed to sound great! The NAP 250DR works great with many loudspeaker brands but we particularly favour models from the Kudos and Graham Audio ranges. The NAC 202 is Naim's entry-level preamplifier incorporating star-earthed circuit boards for superior transparency and an even lower resonance circuit layout. Taking it's power initially from either a NAP 200 or similar, the NAC 202 can easily be upgraded by adding a NAPSC followed by a HiCap for a huge leap in performance. It provides for a wide range of expansion and upgrade options, including powered connection to a StageLine phonostage and an AV bypass connection to an external AV amplifier. First designed by Naim Audio founder Julian Vereker in 1971, the NAP 200DR has Naim Audio musicality written into its DNA. As Naim's first production amplifier, no single product encapsulates their philosophy better. Its design is simple and uncompromising, with a single-minded focus on one thing - to sound great! With 70W per channel (into 8 ohms) and the ability to power a NAC 152 XS, NAC 202 or NAC 282 preamplifier the NAP 200DR forms the basis of a well matched and great performing audio system. But of course - power your Naim preamplifier from Naim's range of power supply upgrades and leave your NAP 200DR to get on with it for the best sound! 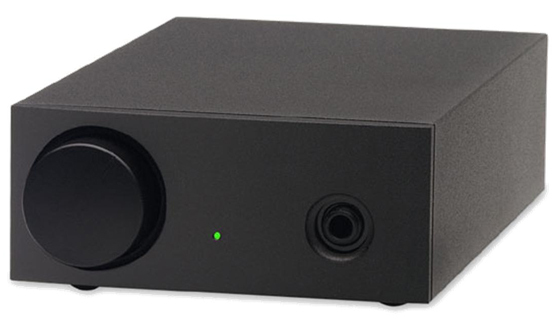 The NAP 100 is a classic expression of traditional Naim Audio power amplifier engineering. Pretty small at just 20cm wide – its performance is seriously dynamic and expansive. The NAP 100 is perfect for a number of applications, adding a dose of Naim Audio musicality to a wide variety of systems, with 50W per channel (into 8 ohms) it is more than capable of great sound from a wide range of loudspeakers from the likes of Kudos and Graham Audio. Paired with Naim's DAC or DAC-V1 digital-to-analogue converter, it becomes the power behind a high-end system to unleash the music from your PC or Mac. It’s been almost 30 years since Naim designed their first integrated amplifier, plenty time enough to define and refine the technical ingredients essential to high-end performance giving us the Naim Supernait 2. One of the best integrated amplifiers we have ever heard, the Supernait 2 combines an 80W per channel (into 8 ohms) power amplifier with six individually decoupled input sockets and borrows advanced technology from Naim Audio’s flagship preamplifier, the NAC 552. Supernait 2 employs the latest Naim Audio DR (Discrete Regulator) circuits in its power supply, it sits right at the forefront of Naim Audio amplifier technology and pairs well with loudspeakers from the likes of Kudos and Graham Audio. Add a HiCap power supply and the performance takes a huge leap forwards, better bass, bigger sound and and even more music. The Nait XS 2 offers much of the performance of Naim's reference quality Supernait 2 in a simpler, slimmer package combining a 70W power amplifier with six analogue inputs. Its high performance preamplifier stage is as transparent as you would expect from a Naim Audio amplifier, and it also shares the single-ended class-A headphone output of its larger sibling. Partner the Nait XS 2 with the ND5 XS 2 (that's a mouthful) for a great streaming system solution - just add speakers! The NAIT 5si is Naim's 60W per channel (into 8 ohms) introduction to high-performance integrated amplification, if it's a simple, well designed and great sounding integrated amplifier you are after then the Nait 5si gets you on the system journey. Four independent inputs and a headphone socket likely all you'll need to get going, there's a headphone socket on the from too. Like it's bigger brother, the Nait XS 2 partnering the Nait 5si with Naim's ND5 XS 2 streamer makes a great digital system - just add speakers! The HeadLine is a high-end headphone amplifier designed to make the most of audiophile-standard headphones. Its durable build and exceptional transparency are classically Naim Audio, as is its ability to deliver low-noise, low-distortion reproduction of your music, it's pretty small too so easy to position. Simply add the NAPSC Power Supply or power from either FlatCap XS, HiCap or SuperCap using Naim's dedicated cable - the SLIC.